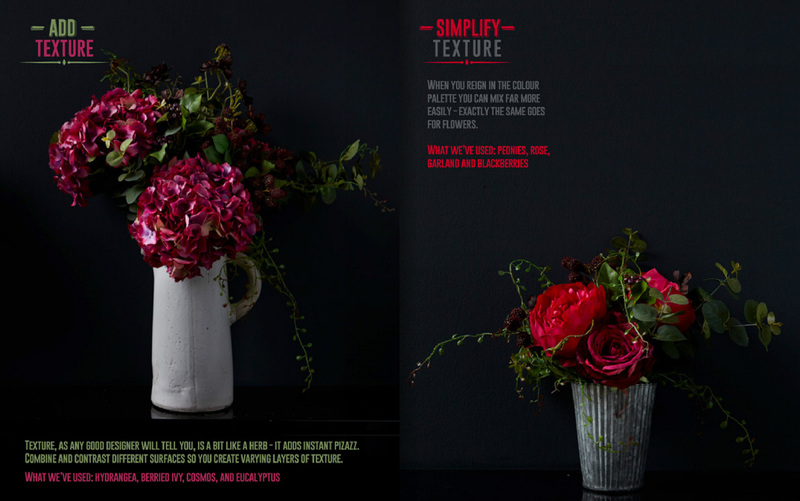 There is a lot of pressure on us over the holidays to cook the best food, decorate the house differently each and every year, re-invent the wheel with unusual dishes, different decorations pressure no one needs. I say ignore all that and do what works best for you. For me I look to nature for my decs and gather branches, lichen, and ivy, things that represent a real sense of the seasons. 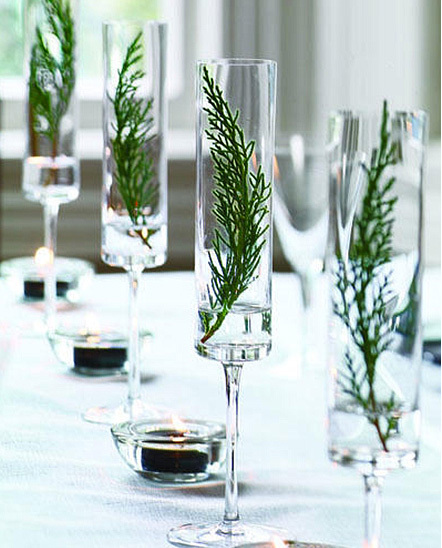 I am obsessed with foliage such as eucalyptus and herbs such as thyme and rosemary – they scent the house so beautifully. Also and this is personal obviously I don’t want them to take over so when it comes to January and they all come down I don’t want to feel that flat feeling inside so I don’t over do the decs. 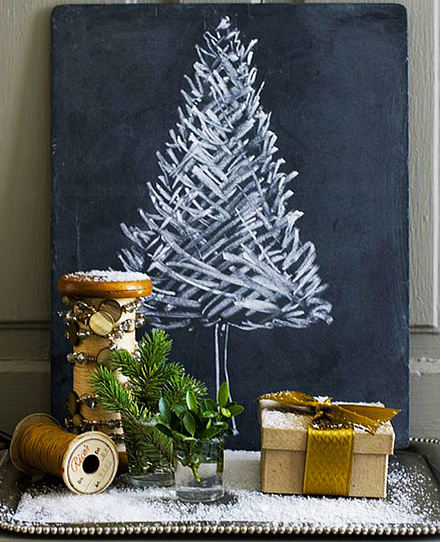 I buy a few trees (some of them teeny tiny) which I plonk on counters, consoles and tables and simply just string with white lights and that is pretty much it. 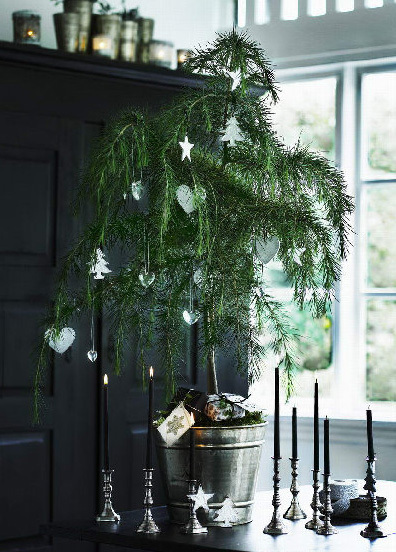 I do the same outside putting a tree on the table on the terrace and lighting that -very beautiful, I string fairly lights through the honeysuckle convert little jam jars into t-light holders and string from trees. I have bowls of oranges, apples and quince all over the kitchen and I t-light everything. Last night as I was lighting the candles (this is just a normal evening by the way I haven’t even added any yet) I counted 18. Imagine when I’m lighting all the trees – I need to start now! Good plan there is nothing better anywhere I reckon! 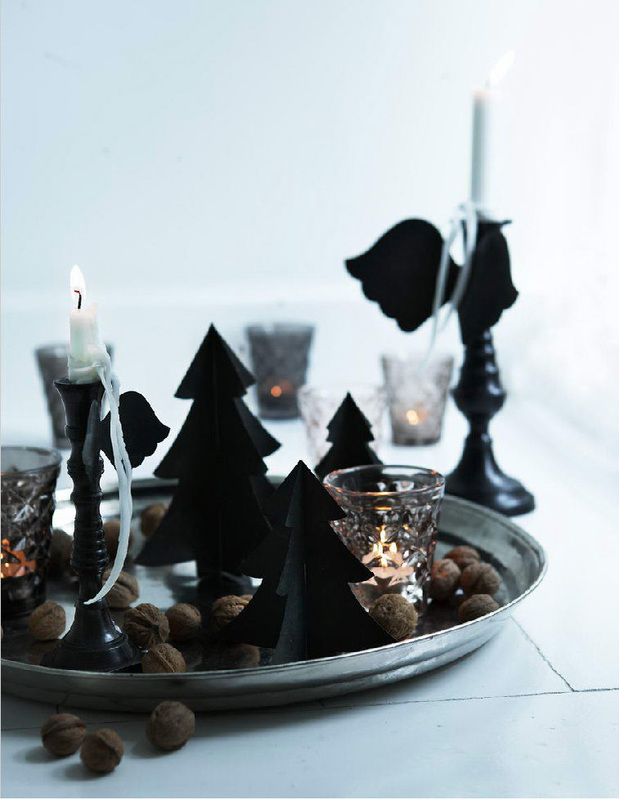 I love the first picture with the little black Xmas trees…do you know where to get those? Thx! Oh thank you very much Allan Stuart! Very helpful indeed!